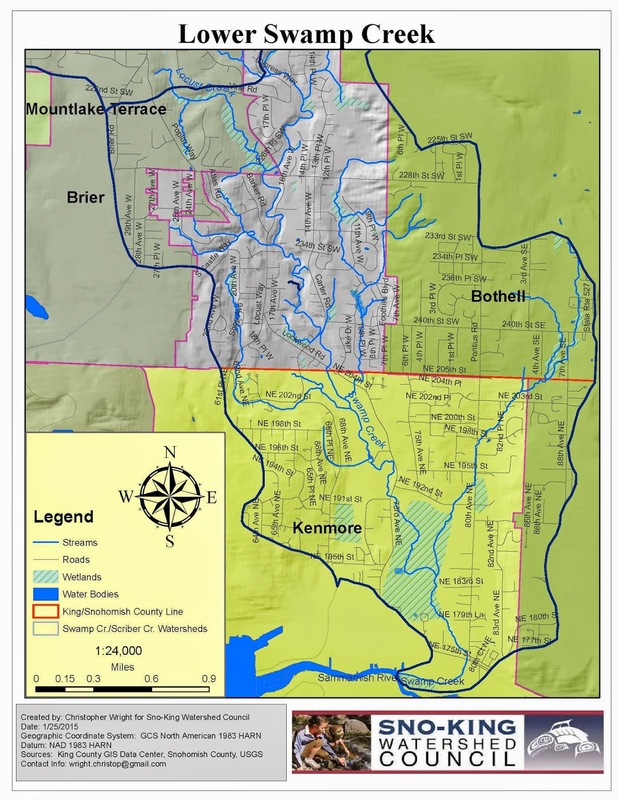 All of the area in that map drains into Swamp Creek and ends up flowing through Kenmore. So it should be no surprise that there is flooding in the area around Swamp Creek in Kenmore when we have heavy rainfall. 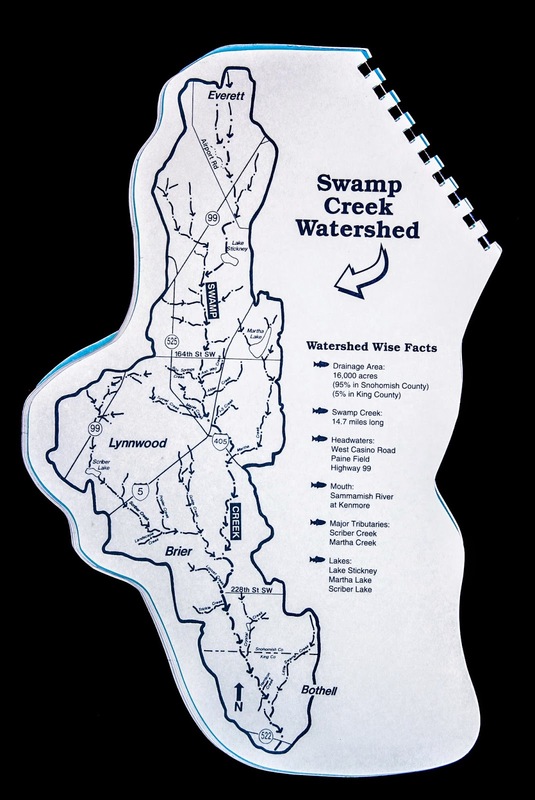 There is a huge urban area that is ultimately draining into Swamp Creek. 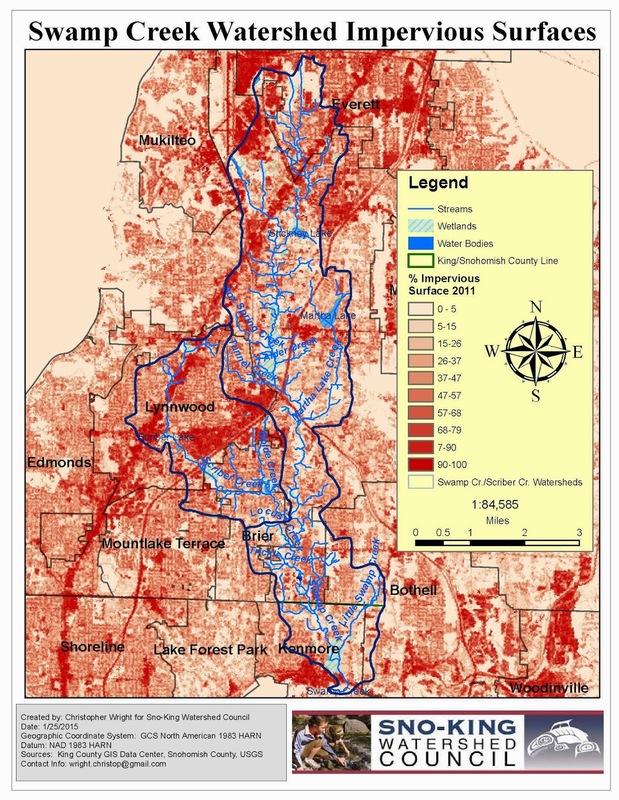 Flooding is a watershed issue, but unfortunately it's the area furthest downstream that experiences the most dramatic cumulative effects of the combined stormwater runoff coming from upstream. 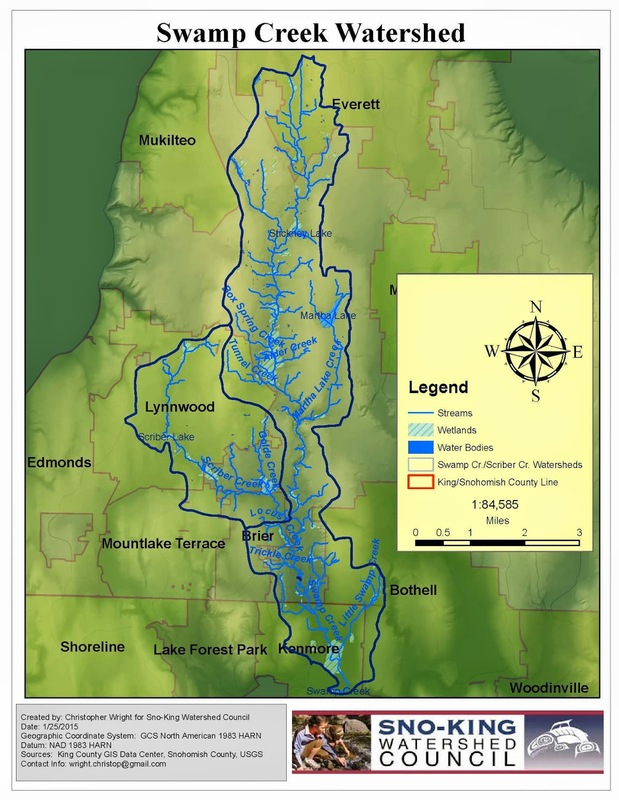 Is it possible to convince (or force) our upstream neighbors to make changes going forward that will lower the amount of runoff that is hammering us down here? 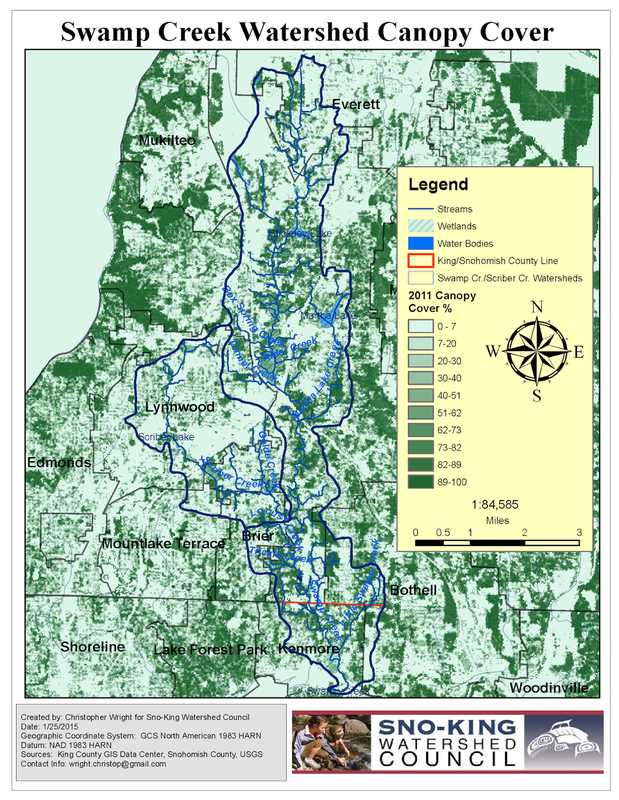 Planning for a future watershed forum is in the works, so hopefully a watershed-wide conversation can at least get started.